In the western world, we are no strangers to stress. Unfortunately stress dominates many of us on a daily basis. It seems stress in society is only increasing. So what is stress and how can we manage it? Stress manifests itself in many forms, including social, psychological, biological and physical. Our focus on the word stress in this article generally involves our coping ability on a daily basis. When stressed, our coping ability is not equal to the situations or problems we face. What we could normally handle becomes intolerable or unbearable. What does this result in? Digestive complaints including indigestion, reflux, IBS etc. Honestly the list goes on. When a client says they are stressed, it’s interesting to see how it manifests for them. 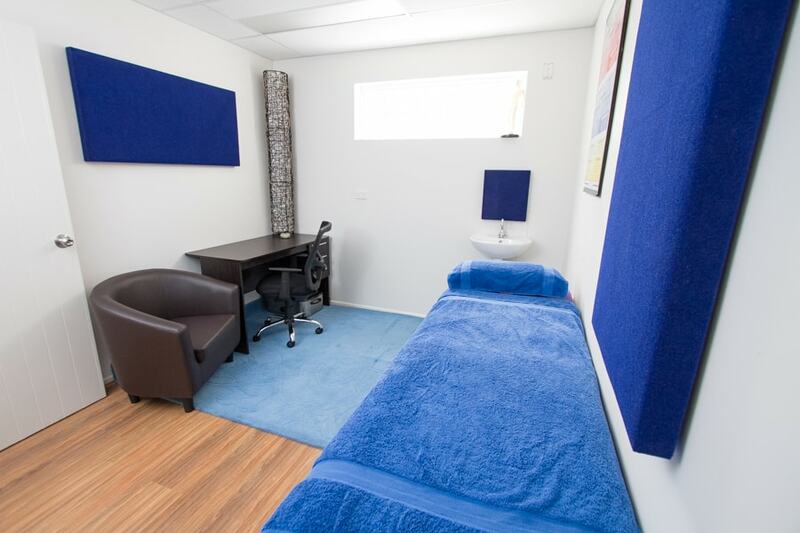 At the heart of many acupuncture treatments here in Brisbane, stress is commonly an underlying factor. So how do you go about dealing with stress? STOP. Just stop for one moment, take 5, 10 even 30 minutes out of your life on a daily basis and ask yourself what is my intention and what is my outcome? All too often we begin to lose our ability to focus when we are stressed and end up in a frantic rush, or so it seems. You are not your job! Yes I’m quoting fight club. There is more to life than your job. If you disagree then that’s ok – Start to implement regular 5-10min breaks to stop and revive. Look at alternate work if you aren’t happy. Move to a different area. There are many strategies to alleviate stress in your career. Your diet. The majority of people’s food and drink choices turn south when they are stressed. Take away, coffee, alcohol, soft drinks and sugary snacks creep on to the menu. These critters give you a ‘high’ for a short period of time, but ultimately poor eating choices will leave you dehydrated, exhausted and vitamin depleted. Exercise. You must incorporate a routine. I’m not going to quote the plethora of studies out there on the benefits of exercise. Move it or lose it. So now you have the basics, how can we help? For starters, acupuncture for stress is a fantastic way to relax, de-stress and regroup. Several studies conclude that acupuncture releases endorphins and serotonin. You get the best of both worlds. Not only that, we can help with other signs and symptoms so commonly associated with stress. We also help you create a strategy for dealing with stress on a daily basis. So often clients feel that they are helpless or ‘stuck’ in certain situations. We help you take your power back to create positive change in your life. This will be geared toward the individual, from simple meditations/affirmations, to shifts in thought patterns/habits. With roughly 21,000 articles, clinical trials and other western research available, its evident back pain affects a large amount of patients. In fact so severe in some cases, patients resort to drastic measures to relieve pain, in the form of stimulator implants. The implants send electrical pulses which interfere with nerve signals, dulling the pain. Spinal fusion surgery is also a common intervention, where vertebrae are fused or linked together. So medically, what causes back pain? Well, a variety of issues according to western medicine. The most obvious: Excessive load. This has been supported and demonstrated by numerous studies. It’s worth noting that the Chinese already knew this some 2000 years ago. Common sense prevails! But what if you’re mainly the office type who sits ‘upright’ in a chair all day? Well consider this. Lets say for arguments sake the average female and male weigh 70 and 86kg respectively ( (according to the bureau of statistics) . Take half your body weight, apply the law of gravity whilst sitting awkwardly. Your poor back won’t appreciate hunched shoulders, and a mild slump whilst typing like a nutty professor. Without getting too scientifically involved (we like simple words! ), pain mechanisms generally involve nociceptors, which are nerve cells that send signals to the brain and spinal cord essentially sending ‘pain’ signals. What causes them to send the signals? A variety of stimuli including temperature, pressure, and injury-related chemicals. Essentially these cells are sending electrical signals back to higher brain centers. Whilst drugs such as ibuprofen and aspirin seek to inhibit prostaglandins (lipids formed around the site of pain as part of the normal inflammatory response), they do not target the source of the pain, providing relief only. Furthermore, long term use can lead to complications such as gastric ulcers, bleeding and perforation, to name just a few. Unfortunately one of the prostaglandin types it prohibits actually protects the stomach lining from stomach acid. Ultimately gastrointestinal complications like this arise because the stomach/intestines are essentially losing their natural protection layer. 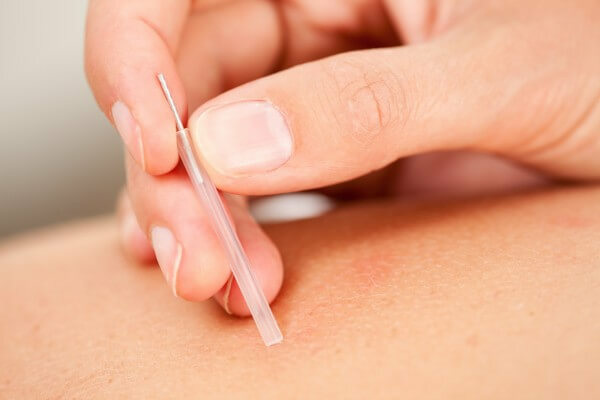 So how can acupuncture be an effective treatment to relieve pain? Simply put, acupuncture acts as an analgesic, a natural way of blocking the pain signals to the brain. Scientific jargon aside, we work holistically too, because we would rather treat the source. Apart from constitutional, physical and energetic differences we all have, we can also explore emotional connections to back pain. Upper back and shoulder pain could be a phase where it feels like a weight is on your shoulders. Mid back pain may be refer to something or someone squeezing the life out of you. Lower back pain often correlates with finance or support issues. We’d like to think that surgery would be the last port of call for patients, so we feel that it’s important to look at back pain holistically. If you do experience back pain then contact us to discuss your treatment options or book an appointment. Even healthinsite, a government website initiative to provide quality health information recognises that acupuncture is a viable treatment to back pain. So what are you waiting for!? Physics is discovering that matter isn’t as solid as we once thought. Instead, it is becoming apparent that everything in the universe is energy. This energy is primarily composed of light and sound, and atoms are made of energetic fields rather than substance. On a cellular level, the body has many, many different types of cells responsible for different tasks. Some transport oxygen while others dispose of waste. Some cells become neurons and others form the kidneys. Modern science is discovering that, at the end of the day, all cells are basically the same. Their functions vary depending on their roles, but if we were to turn these signals off, the cells would be identical and have the potential to become anything. On a grander scale, it means that we can become anything with the right motivation and creativity. So we are functioning on two levels: the potential to be anything, and what our cells are currently being told to do. Cellular memory is the quite incredible idea that our entire existence is recorded in our cells, every single one of them. 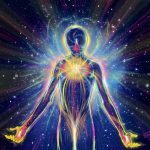 The blueprint of who we are, who we have been in past lives, our thoughts, feeling, preferences, and all of the details that could possibly exist, are already in our bodies. Cellular memory explains why our bodies, mind, and emotions operate and respond in specific ways. It says that our cells contain patterns of how we expect our body to function, how we are used to feeling, and the way we are habituated to thinking. The only reason we are the way we are is because we are operating out of memory. The past determines our cellular memory. There have been incredible happenings supporting this theory. It has been noticed that many organ recipients take on the characteristics of their donors. One woman, who previously had enjoyed fun, trashy novels, suddenly developed a taste for literature. Seemingly out of nowhere, she gravitated towards writers like Dostoyevsky. This was the sort of author whom her donor loved. Another recipient, who previously had a healthy diet and exercise routine, found herself having intense cravings for fast food. She also became much more aggressive after receiving an organ from a young man, and even began to dress in different colors than the ones she usually liked. Changes like these occur more often when a heart transplant is involved. Traditional Chinese Medicine has long identified the heart as the “ruler” of the organs. The heart is the starting point. Cellular memory is new to modern medicine, but is by no means an original concept. Ancient civilizations identified multiple bodies encasing the soul. Our physical or gross body is the one we are most familiar with, and our subtle body is home to our thoughts and emotions. The body that most closely encloses the soul is called the causal body. This body is where our memories and experiences from our current and past lives are recorded. The causal and subtle bodies travel with the soul from one incarnation in a physical body to the next, while we discard the physical body at death and get a new one at each birth. The memories and experiences in the causal body are like a blueprint for the subtle and physical ones. They form around old information and experiences. Basically, how we think and feel is in reaction to past conditioning. Personality traits present in us today are usually rooted in events we don’t even remember. If we are storing memories of famine that happened centuries ago, we may develop a tendency to overeat or hoard food. If we were Thai in a past life, we could naturally gravitate towards that culture, even if we have no connections with it currently. This template also impacts the physical body. Maybe a person who once suffered great physical trauma in war has problems with their immunity or adrenal glands in this one. There have also been fascinating accounts of people who have memories of who they were in previous incarnations and remember how they died. If their former death was traumatic, the person living today frequently has a birthmark in the exact place where they sustained a fatal wound in a past life. Some people have been able to validate this synchronicity through written records. 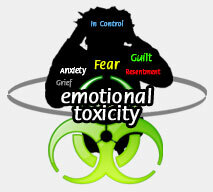 What memories and experiences are creating emotional toxicity in your cells? So if there is validity to cellular memory, the next question is why does it matter? It matters because it means your old, ingrained patterns are creating your reality. Instead of your cells being capable of anything, they have fallen into a regimented routine established by previous experiences. It means we are walking on an old path over and over again, with minor variations, instead of creating a new path through the woods. If we want to reach our full potential, we must be willing to erase some of our old ways and open up to new experiences and possibilities. Clearing out old processes is key to expanding into a new and fresh identity. We have to make room by destroying the old so there is space to let in something better. This means taking a hard look at yourself and getting rid of what does not serve you. It also means being creative and deciding what it is that you do want. There are many ways to go about this, and it is best to think about it as a process of purification. When we purify, we are opening ourselves up to our underlying, limitless state. Following guidelines for balanced living, like in TCM or Ayurveda, naturally resets the body and allows consciousness to expand, and treatments help the body function at its highest capacity. There are other methods, such a past life regression, that allow you to discover and release old habits that are keeping you stuck. The technique you choose is not as important as how much you want to change. Most of us get used to patterns and find a comfort in them, whether or not we are happy. Breaking out of them can be tough, but the best things in life are rarely easy. Have you ever had one of those terrible days where everything is going wrong? You wake up feeling crummy and it’s all downhill from there. In an attempt to salvage your day, you do your best to cover it up. You paste a smile on your face, hoping the suffering will magically disappear. But then something happens, and you just can’t keep it in anymore. Maybe a final irritation is the straw that breaks the camel’s back, or an intuitive person senses what’s going on and their concern makes the floodgates open wide. On other occasions, you may have been feeling just fine when a movie or story in the news hits a nerve, making bottled up emotions surge to the surface. Suddenly, all that feeling and agitation comes pouring out. Sometimes a million other things that have been bothering you for some time join the exodus. After the rampage, you may feel remarkably better, as if a weight has been lifted from your shoulders. Or maybe you feel even worse as all that contained misery is being aired out. Whatever the case, there has been a definite change- the feelings are now exiting your system. Energy is meant to move. Air must be inhaled and exhaled constantly, the blood needs to circulate on an ongoing basis, and organs work consistently to keep the body healthy. 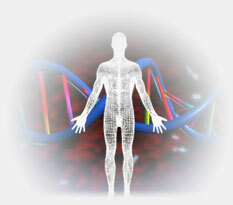 Disease occurs when the energy is blocked and the natural processes cease to work harmoniously. Emotions are simply another form of energy, and caught feelings can be likened to how buildups of plaque lead to heart attacks. When we feel happy, it is like a wave of deliciousness and we gladly let it flow through us. Happiness makes us feel relaxed and open, and holding onto a wave of joy is counterintuitive. Anyone who has tried to capture a happy moment in fear of losing it knows it never works. Other feelings we don’t like as well, like sadness, anxiety, and fury, also need to move. Just like happiness, these feelings are reactions to situations and are meant to arise and pass. Feeling the emotions as they come will not hurt you, but trying to push it down will. People often become afraid and confused by their emotions. 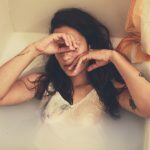 They may have a hard time acknowledging their reactions in fear that it makes them a “bad” person, or they may be so overwhelmed by them that they don’t know how to cope. It is quite common for people to suppress and even repress their feelings so they don’t have to deal with them, or in an attempt to prevent the emotion from persisting and taking over their state of mind. Wow, what a terrible idea! 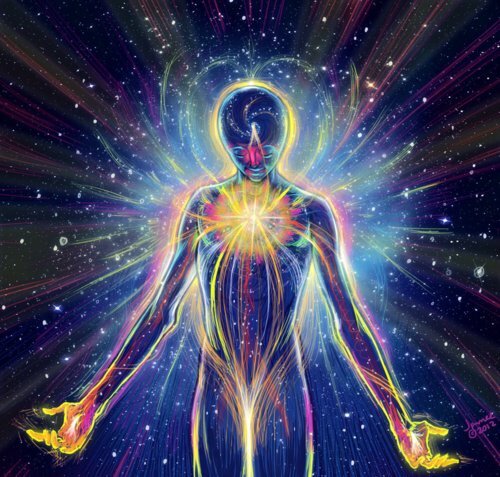 Any energy that is not released will stay in the body. The way having inadequate fiber leads to an accumulation of waste in the colon applies to emotions as well. Feelings actually get trapped in the tissues. Clearly, they are a burden to the body’s functioning. 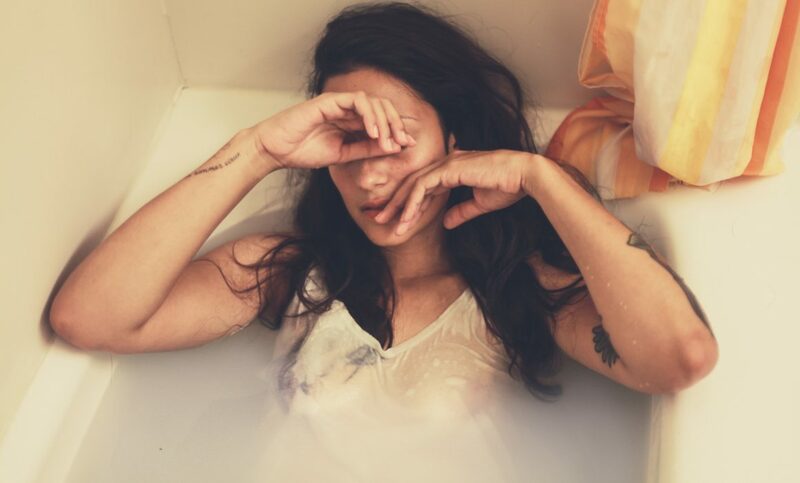 This may not cause any problems at first, but over time emotional symptoms like depression and anxiety are common, as well as physical symptoms like digestive issues, colitis, fluid retention, and headaches. This is why modern medicine is often ineffective in treating problems based in emotional stagnation. The good news is there is a way to fix this mess. Emotional release is a standard part of holistic therapies such as acupuncture, massage, cupping and energy work. In the alternative approaches, the practitioner’s goal is realigning the system. In the process of doing so, any blockages are loosened and pushed out. What was once stuck rises to the surface and is released. There are also more specific techniques that can be used to promote emotional release by targeting specific pressure points or areas. Going through this treatment may not be pleasant. The patient can experience intense grief, burst into tears, curl into a ball, be overwhelmed by rage, or feel a temporary spike in anxiety. In some cases, patients are hit by uncontrolled waves of laughter. Crying out, screaming, or physically pummeling the chair or massage table is not out of the ordinary. These reactions are a sign that the treatment moved sluggish energy, which is a very good thing. Patients are not always ready for or aware that these treatments can cause such intense reactions, and a good practitioner will know how to explain the outbursts to them. Emotional release increases overall wellness, decreases pain, increases motor function, and improves overall quality of life. There are other ways to release emotions, and some of these can be done without professional help. Journaling stirs up feelings and can remove the blocks by processing what has been repressed. Talk psychotherapy traditionally includes emotional release. Some people are more comfortable confiding in a good friend or family member, and always feel like what they have been holding onto disappears once they share their troubles with a kind, compassionate ear. The gemstone pink tourmaline is wonderful for releasing pain trapped in the heart, and something as simple as prayer can initiate a release of pent up worries. Mind-body exercises like tai chi and yoga operate on the same theory as Traditional Chinese Medicine and Ayurveda, respectively. The movements stimulate energy centers, meridians, and pressure points, and do away with obstructions as the body is aligned. Like the previously mentioned first time patients, new students may not understand why they suddenly become an emotional wreck following an exercise class. If you are having emotional problems, physical problems, or both, chances are they are either largely or partially tied to emotions contained in the tissues. Finding a method to let them out is in your best interests, even if you feel embarrassed, shy, silly, or are afraid to face what you have kept locked deep within. Doing this helps you appreciate the power of emotions and will helpfully encourage you to live your life differently in which feeling are acknowledged as they happen and not kept inside for days, months, or even years.